I got a new one for you. 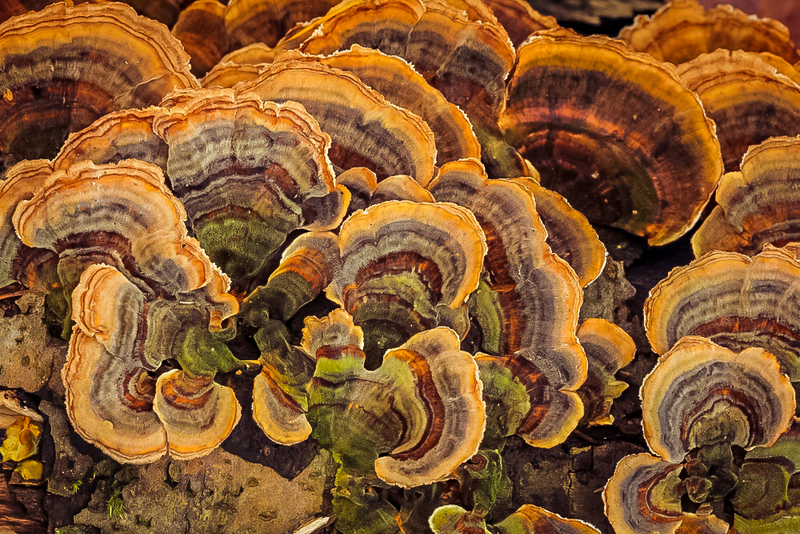 I have been eating fresh turkey tail raw a little each day for over a week. I got some growing out of nowhere. I never thought such tough mushrooms could be eaten raw but they are new and emerging and I am chewing them in the young stage while they are still flexible. I am chewing with my wisdom teeth because they are still growing, hard to reach and they need the stimulation AND they need the extra medicine. So far, I have had no bad reactions whatsoever, the way I once had eating raw shitake. And by the way, when the lion's mane mushrooms is ultra ripe with perfect hydration, it's fine raw too. Anyway, I chew the mushroom until it become a liquid puree before I swallow. It does liquify through chewing and it doesn't take long. I'll make a video when they grow a bit larger. Edited 2 time(s). Last edit at 02/08/2019 06:42PM by Tai. The outer edge is the young tender growing part.